The penultimate race of the season is the United States Grand Prix, which was held for the first time in Texas last year. This season, the same tyre nomination has been made: P Zero Orange hard and P Zero White medium. Austin is an extremely varied circuit, which puts plenty of energy through the tyres by alternating fast and flowing sections with some slower and more technical parts. It's a very good test of a tyre's all-round ability, with traction demands out of slow corners just as important as lateral grip through the high-speed changes of direction that are another key characteristic of the 5.513-kilometre Circuit of the Americas. Paul Hembery: "The hard and medium tyres are the best choice for the United States Grand Prix, because it's a circuit that places several high-energy demands on the tyres, so you need the most durable compounds in the range. There are some fast corners and many rapid elevation changes as well: in that respect it's a bit like Spa. When you have more energy going through the tyre, you have a bigger heat build-up - which is what increases wear and degradation. Now that we're coming to the USA for the second time we have a better idea of what to expect, whereas last year - when we also nominated the hard and the medium - it was much more of a step into the unknown. This year's compounds are softer, so we would expect around two pit stops in the race, depending also on the rate of track evolution. Even though it's November we're still likely to have warm weather, which obviously affects thermal degradation too. Formula One received an absolutely fantastic welcome from the American public last year, which made it a truly memorable race, and we're very much looking forward to going back to a country full of great F1 fans, which is also a key market for our Ultra High Performance tyres." Jean Alesi: "The United States Grand Prix in 1990 was actually my very first grand prix on Pirelli tyres, with the Tyrell, and it turned out to be a very good race for me. It was the first grand prix of my first full season, so always one that I'm going to remember. Back then, American Formula One circuits were mostly street circuits, and this one in Phoenix was no exception. Also, the rules on tyre development were completely open: the dimensions were fixed but apart from that the manufacturers could do what they wanted. 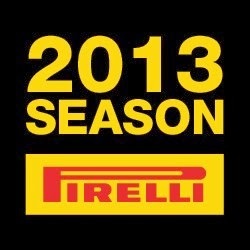 With Pirelli, we could go the entire race without stopping, whereas the others had to stop. And this was key to our strong performance that surprised so many people: I led the race for several laps and in the end finished second only to Ayrton Senna in the much more powerful McLaren-Honda! And that was the difference that the tyres made. Of course the United States Grand Prix now is very different. The first year of Austin in 2012 was a real show, with special guests ranging from actors to astronauts, and it was fantastic to see the American people take so enthusiastically to Formula One. It really wasn't like that in my day, when there was not so much interest in F1 in America. Austin looks like an exciting track to drive as well, which obviously helps. One of the details that I think everybody remembers is Pirelli's cowboy hats on the podium: these were really a lot of fun..."
Just like Abu Dhabi, Austin is one of the few circuits on the calendar to run in an anti-clockwise direction. Other anti-clockwise circuits are Korea, Singapore and Brazil. The track surface at Austin, which was new last year, is generally quite smooth. However, with the passage of time, surfaces generally tend to become a bit more abrasive year by year. This happens as the bitumen at the very top is swept away, exposing the small stones out of which the asphalt is made. There are two key areas that particularly challenge the tyres at the Austin Circuit. The first is Turn 1, which is unusually a hairpin, where the tyres have to provide optimal traction - even when cold on an out-lap. Turn 11 is also particularly demanding as the driver starts braking heavily with the car already turning, creating an uneven distribution of forces across the tyres. Good grip from the compound is essential for an effective turn-in. The cars will run with low gearing and medium downforce: a set-up that is not dissimilar to the one that was formerly used for the Turkish Grand Prix at Istanbul - which has a few points in common with the Circuit of the Americas. The top three finishers in America last year (Lewis Hamilton, Sebastian Vettel and Fernando Alonso) used a one-stop strategy, starting on the medium tyre and ending on the hard. Last year there was around half a second of lap time difference between the two compounds; this year that should be slightly bigger.